You have two options for Linux. First is OSMC (https://osmc.tv/download/). 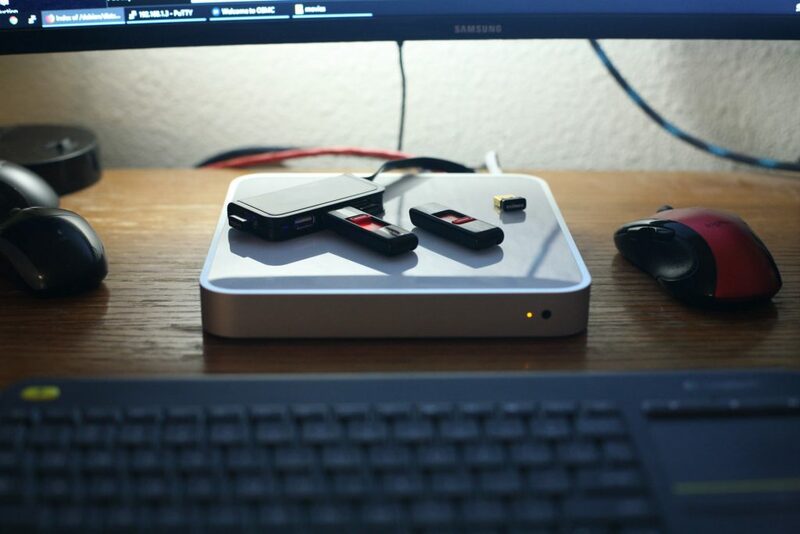 Downloading the Apple TV images to a USB drive and booting is the easiest path to get Linux on the Apple TV. It is the method I would recommend. However if you’re like me and you want a vanilla Linux distro, there is option 2, creating a patchstick. The actual software is located at https://github.com/davilla/atvusb-creator. Getting the original github version of this to work is tricky, because some of the creation scripts (Windows batch files) contain dead hyperlinks. If you choose this method, you will have to fix the broken links like I did. 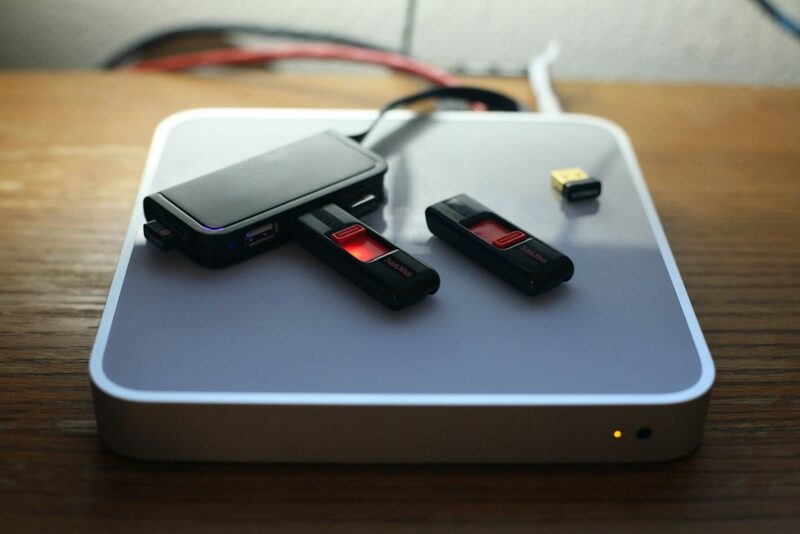 The “Apple TV USB Creator” is used to create a “patchstick”, or a bootable USB drive that has a “boot.efi” file that the Apple TV can boot from. Contained within the boot.efi file is a Linux kernel and initrd. The patchstick is designed to load a simple Linux environment for you to partition your drive and bootstrap a proper Linux kernel with “kexec.” In my case, I loaded the Debian Net Installer. 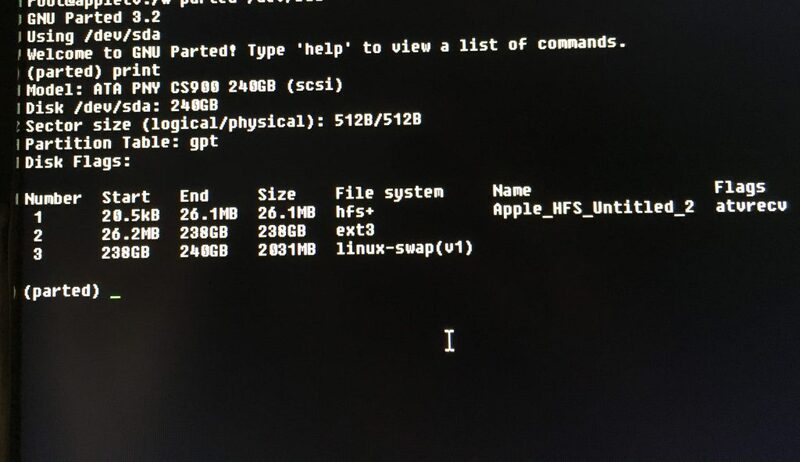 After installing Debian, my partition table had an Apple HFS+ boot partition, the main Linux ext3 root, and a swap. Important notes — GRUB is not actually required to boot your new Linux installation. The patchstick created earlier will create and copy a boot.efi into the Apple TV’s boot partion. It is designed to scan your hard drive, looking for “/boot/grub/menu.lst.” If found, the machine will automatically boot your Linux entry. 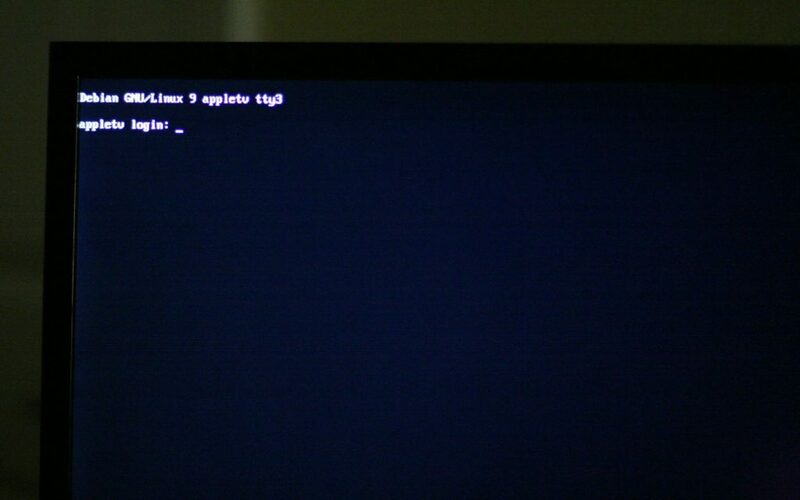 You won’t hurt anything by installing GRUB, but I opted not to install GRUB and simply create the “menu.lst” file manually, as this is the only thing boot.efi needs. If done successfully, the patchstick USB can be removed and the Apple TV will boot to your Linux partition. Booting Debian from the SSD without a USB drive. 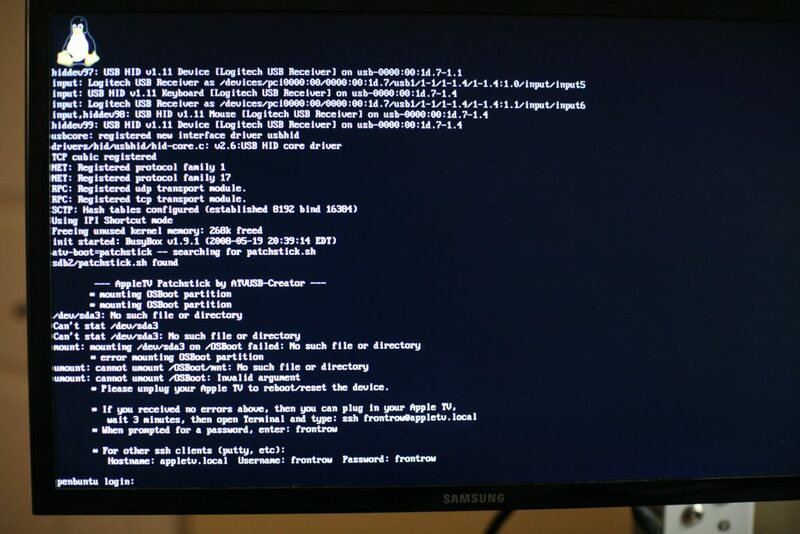 Failing any of this, you can use your patchstick to manually boot your Linux partition. This box will mainly be my SSH tunneling machine, though I installed the larger storage for torrenting and SABnzbd. My main server could do these things, but it’s not on 24/7. It was neat to get this up and running. 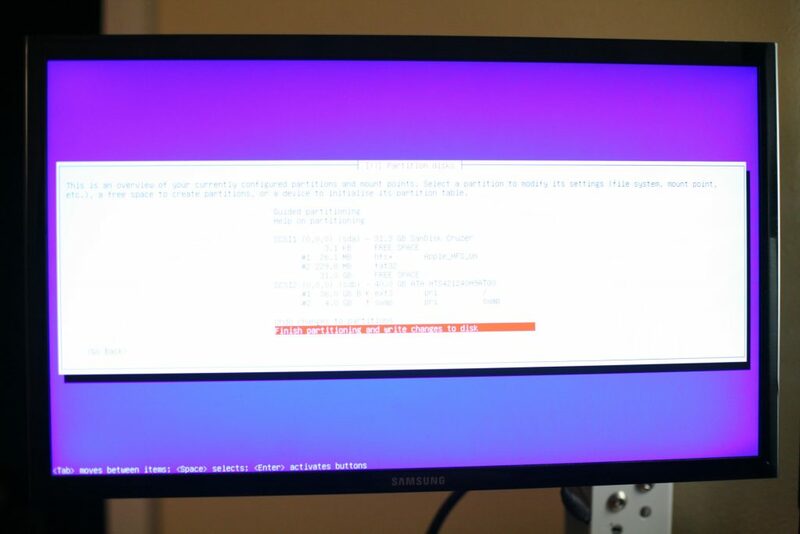 Debian runs as it normally would with HDMI output and WiFi working (I won’t need either). Again, OSMC is the easiest way to get Linux onto this machine. The biggest drawback is a lack of gigabit ethernet. I will have to buy a USB2.0 ethernet adapter. The noise is minimal. There is a small fan, but you only hear it in a dead quiet room.